Unlike the automobile, the pneumatic car tire has undergone little innovation over the past 100 years. 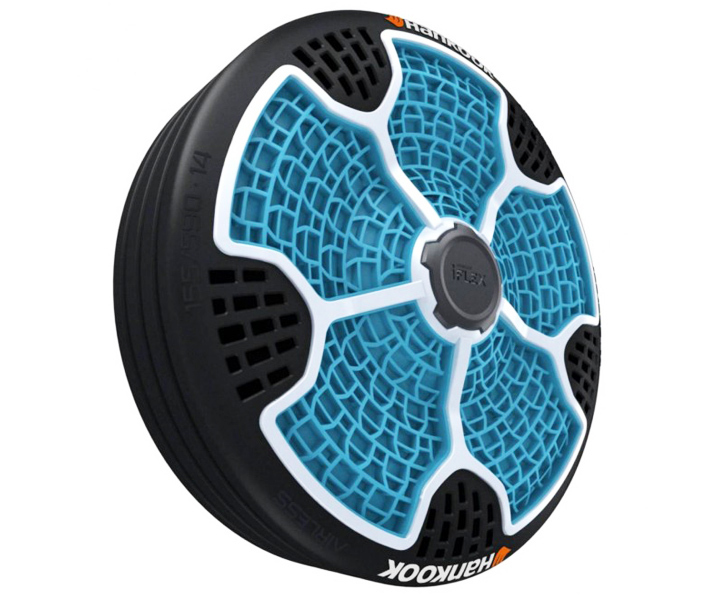 Now Korean manufacturer Hankook is giving the humble wheel a makeover with the i-Flex, an airless tire that is light, puncture-proof, and made from 95% recyclable materials! 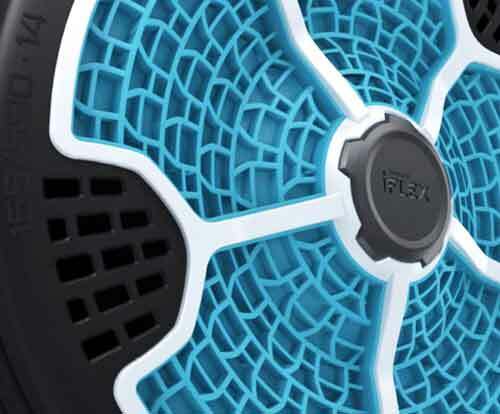 The i-Flex was just unveiled at the 2013 Frankfurt Auto Show this week. The tire is composed of polyurethane synthetics, and the entire unit is fabricated with the rim and measures 155/590 R14. Geometric cells inside the wheel allow the tire to function without the need for air, eliminating the stress of having to check for pressure, fixing flats, and improving fuel economy. Hankook has yet to announce any production plans for the i-Flex, but experts speculate that it is only a matter of time before the manufacturer follows in the treads of other airless tire makers like Bridgestone and Polaris. The company is concurrently working on another prototype in conjunction with the University of Cincinnati dubbed the “eMembrane” which able to transform its shape depending on road conditions.